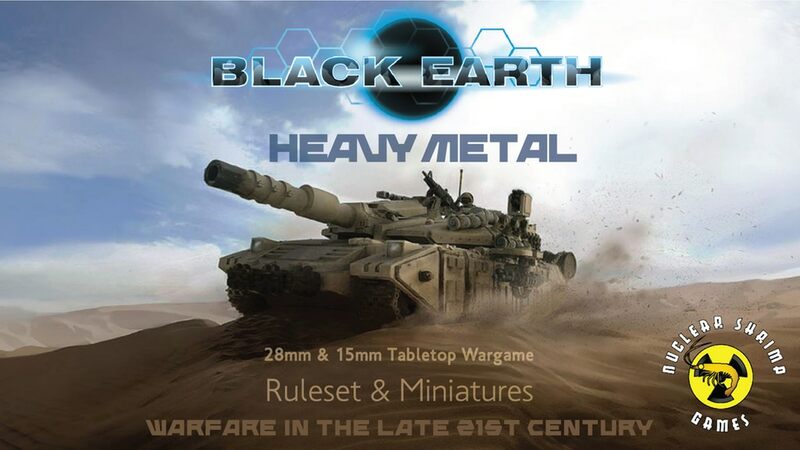 But while I'm listening to Heavy Metal, you guys can go back Black Earth: Heavy Metal, a new expansion for the Black Earth sci-fi minis game. Nuclear Shrimp is looking to bring some new vehicles to the three main faction of the game, and they're needing your help to do it. 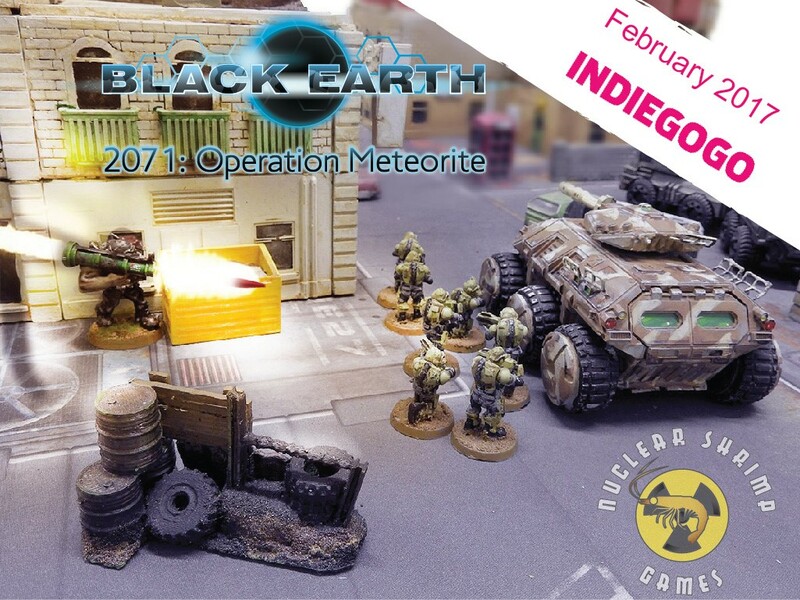 Nuclear Shrimp Games has launched their Indiegogo campaign for their brand new sci-fi miniatures game, Black Earth. Take control of your own band of troopers in this near-future (the game's set in 2070) game. We've arrived, beautiful readers. Friday is here and we're making our way through it to the weekend. It won't be long now and there'll be a couple great days of just hanging out and maybe doing some gaming. I'm happy because my friend came back from LVO and brought me the new Season 3 cards and a couple players for Guild Ball. 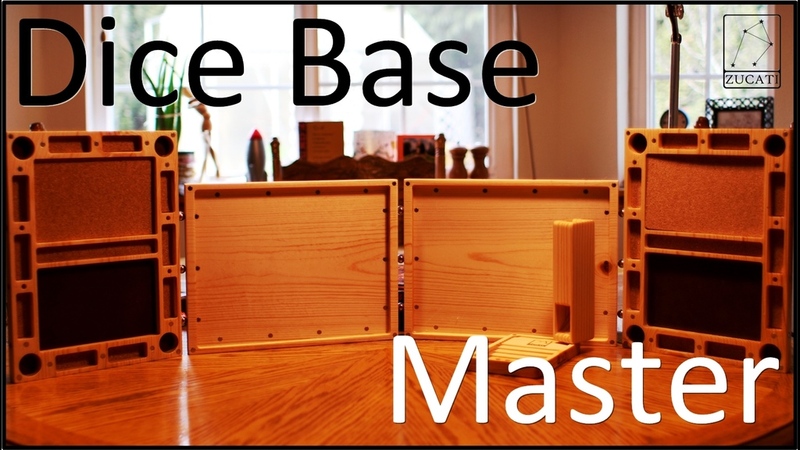 So I'll be assembling Granite and Veteran Siren either tonight or tomorrow, with them hopefully seeing the pitch soon. Best to make sure I'm well-fed on some bite-sized gaming stories. Today on the platter we have: AEG Announces Thunderstone Quest Coming To Kickstarter, Sacred Sword Chibi Minis Up On Kickstarter, Nuclear Shrimp Posts Black Earth Indiegogo Preview, Tabletop-Art Releases Ancestral Ruins banderoles and symbols, Apocalyptic Upgrades Sci-Fi Minis Up On Kickstarter, Chronicles: The Game Coming To Kickstarter Later This Year, MidKnight Heroes Super Chibi Round 2 - Reboot Pledge Manager Now Open, Trollkins Minis Up On Indiegogo, 28mm Greek/Macedonian Figures Up On Kickstarter, Simeon and His Buffalo Available From Golem Miniatures, and Soviet Passenger Trays Available From Dark Art Miniatures. The middle of the week and the start of a new month. 2017 is already 1/12 in the books. January sure did go by quick (at least for me). Before you know it, we'll be announcing Black Friday sales. Ok, maybe that's a bit much. Plenty of things to do between now and then. And if we want to keep up our strength, we should nosh on some bite-sized gaming stories. Today on the platter we have: Mighty Meeples: Ghostbusters Collection Released by Cryptozoic; 4th Edition Preview Flames of War Preview: New Paint Sets, Spray Cans, Token Sets and Gaming Aids; Eye for an Eye: Arena Coming To Kickstarter; Acheson Creations announces two "Big Events" for February 2017; Numenera Audio Collection from Plate Mail Games; The Dragon Tray Up On Kickstarter; Aenor Miniatures Releases New Zombie Survivor; New Line of SCI-FI Miniatures by RBJ Game Company; Dice Base: Master GM Screen Up On Kickstarter; Black Earth tabletop wargame coming on IndieGoGo in February; F'aa'thum, Greater Stygian Wardemon of Fate Available From Kromlech; Baueda New DBA 3.0 Norse Irish Army Pack is Now Available; Elder Dice Coming to Kickstarter; and New Circular Ruler From Micro Art Studio.